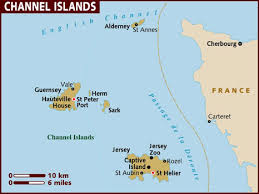 Shortly after the Allied defeat in France, England decided to forego a military presence on the islands because of their lack of strategic importance. With the exception of propaganda purposes the Germans didn’t need them either. 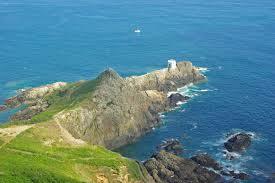 It was a morale booster for Germany to boast the occupation of British land. Prior to the invasion, the British government made boats available to the residents of the islands in order to evacuate those who wished to leave. 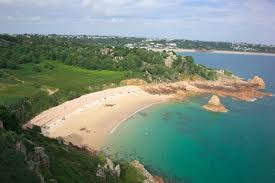 Over forty percent of the population of Guernsey took advantage of the opportunity vacate, however, less than fifteen percent of the residents of Jersey evacuated. 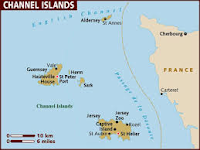 There are many reports of incidents of resistance against the Germans on both islands. After radios were confiscated in 1942, Frank Falla created a clandestine newspaper, an act for which he was deported to a prison in Frankfort. Officials of the Parish of Saint Helier provided ration cards and identity cards for fugitives. A study by Dr Gilly Carr has found examples of small radio sets that were concealed in books, biscuit tins and even light switches. Other resistance was symbolic such as the woman who stitched a dedication to George "V" (for victory) into her tablecloth, her German occupiers apparently oblivious to the fact that George VI was on the throne at the time. There were just as many stories of collaboration with the Germans. Some of the prisoners joined the British Freikorp (a division of the Waffen SS formed by POWs), and there were dozens of babies born of relationships between island women and German troops. According to papers released in 1992, there is also evidence proving that individuals in the government collaborated with their captors. Seventy five years later, it’s easy to cast aspersions on people and the decisions they made during a situation about which we know very little. I’d like to believe I would have resisted, or at the very least simply minded my own business and live day to day. Would I have collaborated if it meant saving the lives of friends and family? Hard to say.